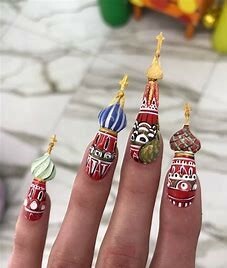 Nail art has grown from a trend to a way of life for many people. Unlike flannel or faux freckles, nail art transforms from a season into a habit for many people who enjoy the relaxing process of a manicure. In addition, having a full set of nails for many people is a basic essential to their personal style. Nail lovers often have the ability to look at themselves with the same messy bun that’s been in all week and the clothes they didn’t look at before putting them on and say, “At least my nails are done.” It’s a sense of being grounded when everything else is falling apart. It is also a lasting way to look more put together than you feel. 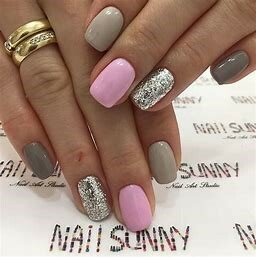 Unlike makeup on your face or brushed hair that you have to redo every morning, nails are a one-time lasting commitment for the next few weeks. You wake up far more put together than you actually feel. Whether you go to a shop to get them done or pop in a movie and do them yourself, this is time spent investing in yourself. There are also health benefits to manicures. Hands are used to do the dirty work on a daily basis that exposes them to the germs and grime throughout the day. A manicure removes dirt, exfoliates dead skin cells, moisturizes cuticles, reduces dry cracked skin and prevents wrinkles. The skin on hands, especially around the nails, should be treated just as well as the face. Acne may not be visible here, but fungal infections and dry cuticles are painful and expose you to more serious viruses and infections. With these added benefits of cleanliness and protection, nail art also provides a great outlet to express personal style. From shape, to color, and special effects, nail art can effectively communicate how a person wishes to be seen. 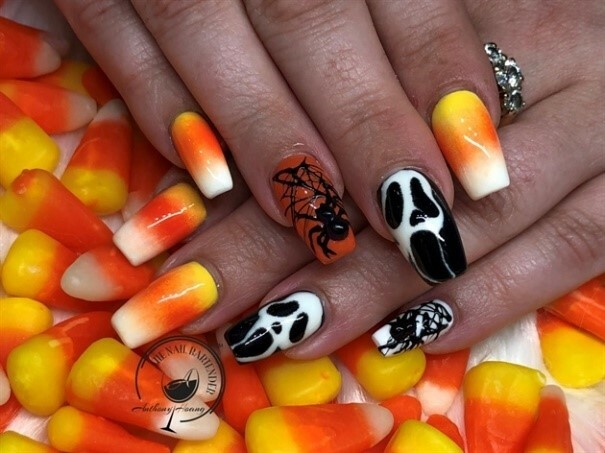 The classic go-to for people who may not be allowed to have extravagant nails because of their organization, workplace or occasion, but still need something on their nails to feel sane. This style has been worn universally since 1927 and has been the epitome of class, cleanliness and couture. A true respecter of Mother Nature, this person will choose polish colors or design that correspond with the season. Sky blues in the spring, bright pinks in the summer, burnt oranges in the fall and the classic Coca-Cola red in the winter. They’re never lacking holiday spirit in any season. A style made for those who are easily bored. 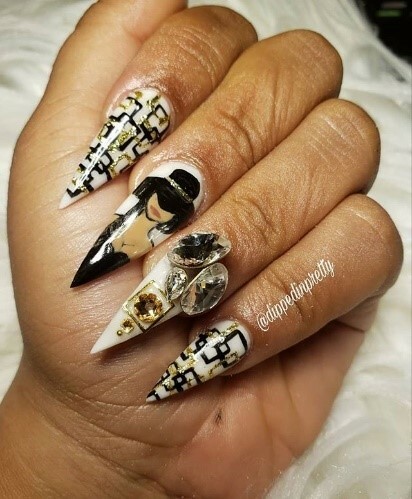 Ranging from an abstract ring finger, to a full set of differing designs or colors, this nail lover truly lets their imagination run wild with their manicure. Confident, ambitious and fabulous, the Challenger loves to be different and stand out among the crowd. They follow multiple nail art accounts on social media and even draw up their own ideas to take in to their nail technician. The Challenger’s favorite question to ask is, ‘Can we do this?’ and the world better watch out when the answer is yes. Nothing is off limits. Unlike the Challenger, this nail lover will truly make you question their practicality. The Trend Breaker’s nails can include moving parts, edible pieces or even living organisms. They will more than likely garner a lot of attention. The best part is, they don’t care. Their nails are their art. However extravagant or classic the nail art, the manicure is a beautiful investment in self care and confidence. For more inspiration, check out the official pages of these nail art connoisseurs @nail_sunny, @dippedinpretty, and @thenailbartender.